SkateCoach helps cross country skiers optimize their skate skiing technique. Skate motion metrics are recorded while skiing and can be analyzed to help perfect a skier's technique. 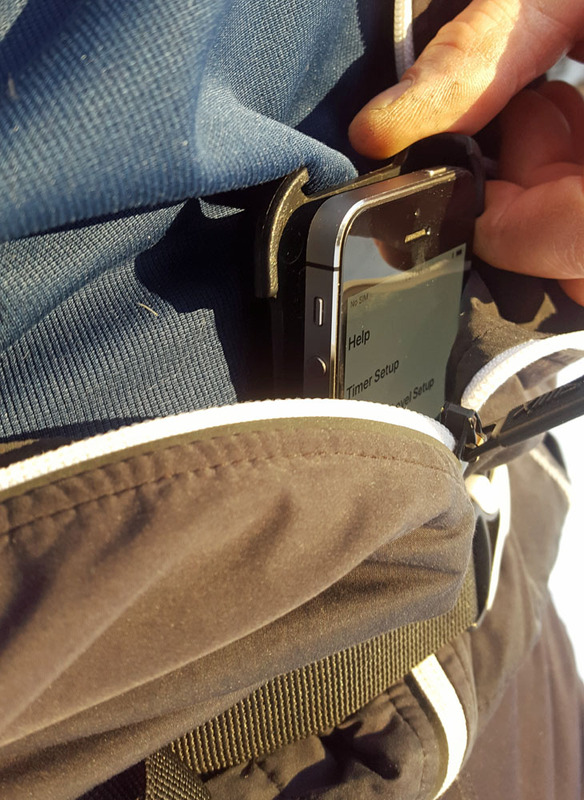 The SkateCoach app is run on an iPhone that is carried by the skier (clipped to a waist belt or inserted inside a jacket and wedged under a waist belt). 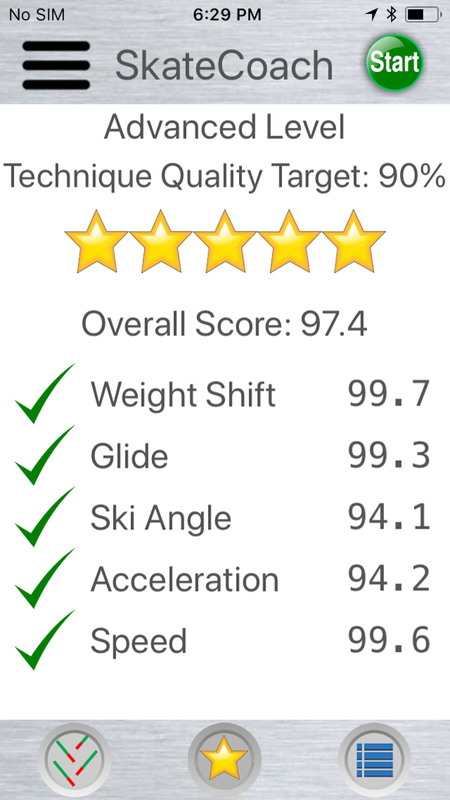 The SkateCoach app records skate motion metrics and scores the quality of the skier's skate technique. After the SkateCoach app is used to record data from a sample session, detailed information about one's skate technique can be reviewed. Types of information that is presented for technique analysis are: weight shift, glide, ski angle, acceleration and velocity metrics. Until now, coaching of cross country skiing technique has been mostly a subjective activity. "You need to glide more". "You need your arms closer to your body". There is nothing quantitative about the old school approach to ski technique coaching. A skier does not get feedback as to what percentage difference a technique change makes. SkateCoach changes all of this. Now a coach and skier can know exactly how technique changes improve glide and speed. SkateCoach can show metrics that are not identifiable visually by humans. Like, what percentage of time is weight shift more on one side than the other. Or what side has slightly longer or shorter glide time, and what the fractional difference is. Or what side has stronger acceleration, and by how much. The following sections on this web page explain how to use the SkateCoach app. Also included is the complete text of the SkateCoach app Help screen. SkateCoach, the game changer ski coach that lives in your phone! Step 1: Choose a technique quality level. This is used to score stars and checkmarks on the score view screen. You only need to do this once. Step 2: Set a countdown and sample time. Press the start button. 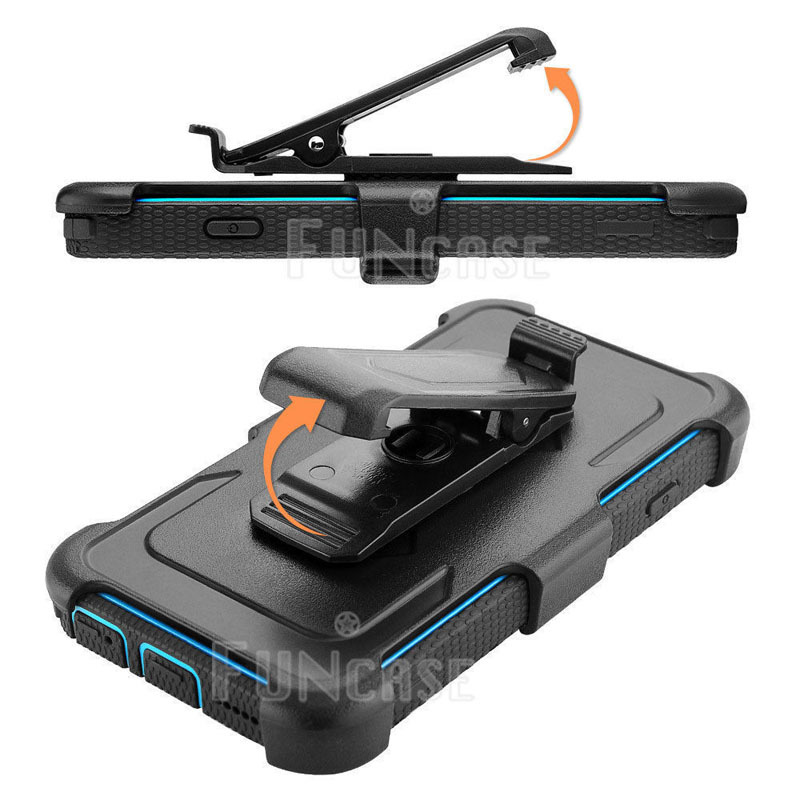 Place the iPhone in a waist belt clip or wedge it into our waistband. Start skiing. Step 3: SkateCoach will double beep when the sampling interval is over. Stop skiing and view the score view. An overall score is given. Checkmarks show which categories met your target quality level. You can scroll through the record of your skate skiing motions. 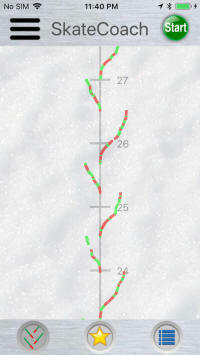 You can also scroll through a detailed analysis of your skate skiing motions. Place phone inside jacket, firmly wedged under drink belt (preferred method). Or use a belt clip for your phone. Either way, make sure the phone is centered on your torso and securely attached so it does not wobble. If the phone wobbles the results will be inaccurate. Help on using the SkateCoach iPhone app. Make sure your iPhone is attached to you securely when you are running SkateCoach. If the iPhone wobbles while running SkateCoach, results will not be accurate. Make sure the phone is centered on your torso. Start with short countdown and sample intervals to get familiar with using SkateCoach. 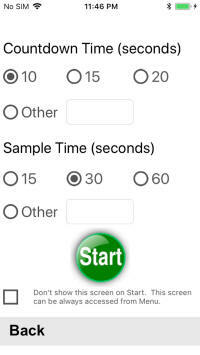 For starters, use a 10 second countdown and a 30 second sampling period. Make sure the GPS is turned on for your phone, and that GPS is enabled for the SkateCoach app. Ski in a straight line. SkateCoach will not be accurate if you ski around corners. Use earphones if you have a problem hearing the SkateCoach countdown and sampling beeps while you are skiing. 1) Choose 'Technique Level Setup’ from the Menu. 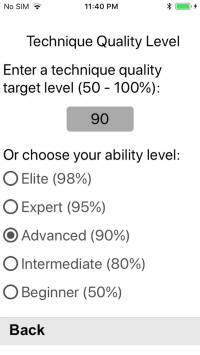 Select an ability level. By doing this you chose a technique quality level that be used to determine the number of stars you are scored and which technique tests you passed on the Score View. 2) Press the Green start button. Make sure the countdown and sample timers are what you want. The countdown timer should be set to the amount of time it will take you to put the iPhone in your jacket, or clip it to a belt, and start skiing. 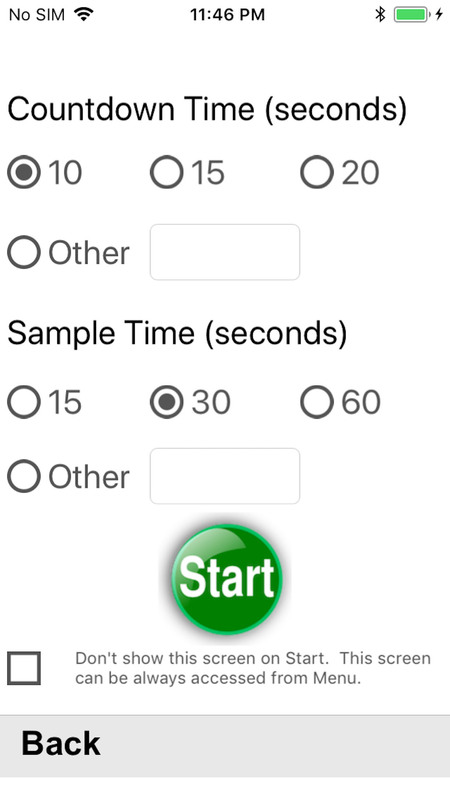 The sample timer should be set to the desired length of your technique test. 2 minutes is the max time. 30 seconds is likely the most common setting. 4) Ski a straight section of trail for the sample period. Skating around corners will not give accurate results. Use the V2 skate technique. If you use the V1 technique, which is not symmetrical per side, you will have to switch leading sides halfway through the test. Or do one test of V1 technique leading on your left side, another on the right and compare them. 5) A consecutive double beeps will occur when the sampling is over. The Score View will automatically be displayed. The Score View is explained below. If you want to save the results of your test, save a screenshot of the Score View. To do this, press and hold the top button and then press the Home button. 6) Use the Detail View to learn more about your Score View results. Go back to Step 2, make adjustments to your skate technique ... and see if your SkateCoach score improves. The Graph View shows your skating motions, as measured from the core of your body. Green indicates acceleration during your skating motion. Red indicates deceleration detected in you skating motion. 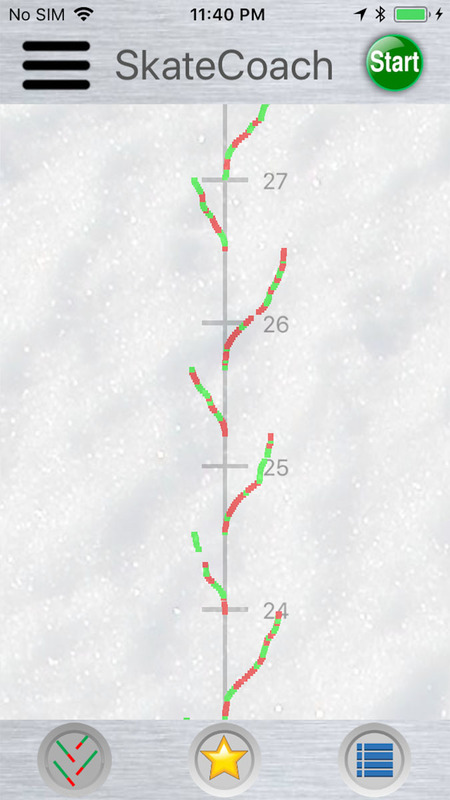 Every time a change in left or right direction is detected, the skate motion plotting is reset to the middle X axis position (so your motions look more like skate ski tracks). The grid on the Graph View shows the seconds of the test. You can swipe your finger to scroll the Graph View. You can use pinch gestures to make it smaller or larger. 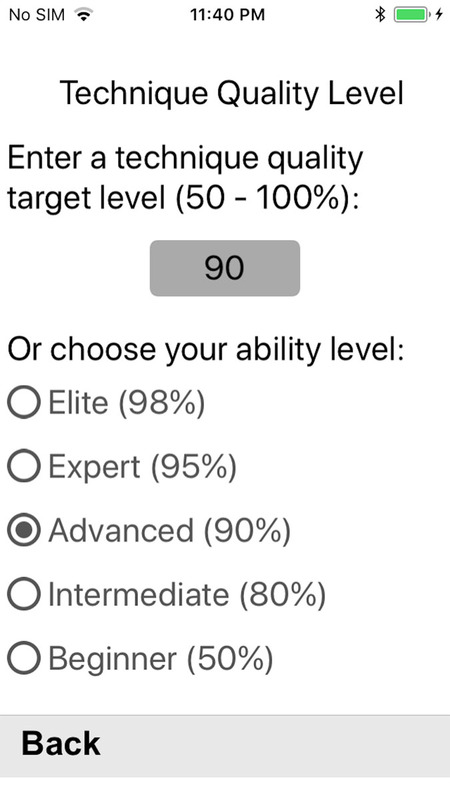 (90%) technique quality level, and your overall score was 92%, then you would get 5 stars. If you scored 89, then you would get 4.5 stars. The overall score is the average of the 5 technique category scores. 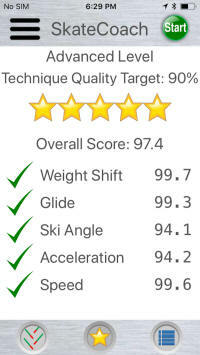 Below the overall score are 5 technique categories that are scored by SkateCoach. The categories and how they are scored are listed below. If the score per category is above the chosen technique quality level, a green check mark appears next to the category label. Definition: Tolerance - if you chose an Advanced technique quality level of 90%, then the technique tolerance is 10%. Your measured technique metrics need to be within this tolerance to meet the scoring criteria. Weight Shift - The percentage of time weight is shifted equally (within the tolerance limit) on each side. Glide - The percentage of equal (within the tolerance limit) distances measured when weight is shifted per side. Ski Angle - The percentage of equal (within the tolerance limit) average weight shift angles when weight is shifted per side. Weight shift angle drives the ski angle. Acceleration - The percentage of equal (within the tolerance limit) average acceleration per skate motion per side. Velocity - The percentage of equal (within the tolerance limit) velocities per skate motion per side. How many times you skated during the sample time. Left side, right side and total. Best results are when there are the same number of skate motions on each side. If you use a longer sample times, the longer the sample the less difference an odd number of motions will make. Data colored red indicates this data is also on the Score view. The amount of time you spent skating on each side. The percentage of time your weight shift was equal on both sides. Your skate motions per minute rate, extrapolated if the sample period was less than a minute. The average, min and max times you spend on each skating motion. The distance as measured by GPS from the location your sampling starts to the location where it ends. If you have a poor GPS signal, this distance could be misleading. This is the above GPS-measured distance divided by the number of skate motions for the sampling period. This is the total distance your skis traveled while you were skating. Because it is a the summation of angular distances it should be a greater distance than the straight-line forward distance above. The distance your skis glided on each side. The percentage of angular skate motions that were the same. The amount of distance your skis traveled divided by the straight-line distance between the GPS points at the start and end of your sampling period. This value should be greater than one. If, for example, it was 1.08 … then your angular distance would be 8% longer than your straight-line travel distance. Average, min and max distance of skate motions (ski glide). The average angle of your weight shift motion. Can be related to the angle of your ski when you skate. The percentage where ski angle, or motion angle, is symmetrical. Average acceleration per skate motion. A skate motion has integrals of acceleration and deceleration. This is the average of acceleration integrals only. The higher the value, the more powerful the skate motion. The percentage indicating where acceleration on each side was symmetrical. The difference between average acceleration minus average deceleration per skate motion. If this is a negative number, then likely the ski is being glided on too long. Based on the GPS measurement of forward distance traveled, this is the velocity for the sample period. This is the average velocity of the skate motions. It should be a higher velocity than the average forward velocity, because more distance is being traveled during the same time period. The percentage that velocity was equal on both sides.